Match ends, Sky Blue 1, Houston Dash 0. Second Half ends, Sky Blue 1, Houston Dash 0. Attempt missed. Chioma Ubogagu (Houston Dash) left footed shot from outside the box is too high from a direct free kick. Attempt blocked. Cari Roccaro (Houston Dash) right footed shot from outside the box is blocked. Substitution, Sky Blue. Catherine Zimmerman replaces Leah Galton. Delay in match Rebecca Moros (Houston Dash) because of an injury. Attempt blocked. Rachel Daly (Houston Dash) right footed shot from outside the box is blocked. Assisted by Rebecca Moros. Attempt saved. Chioma Ubogagu (Houston Dash) left footed shot from outside the box is saved in the top centre of the goal. Assisted by Denise O'Sullivan. Corner, Sky Blue. 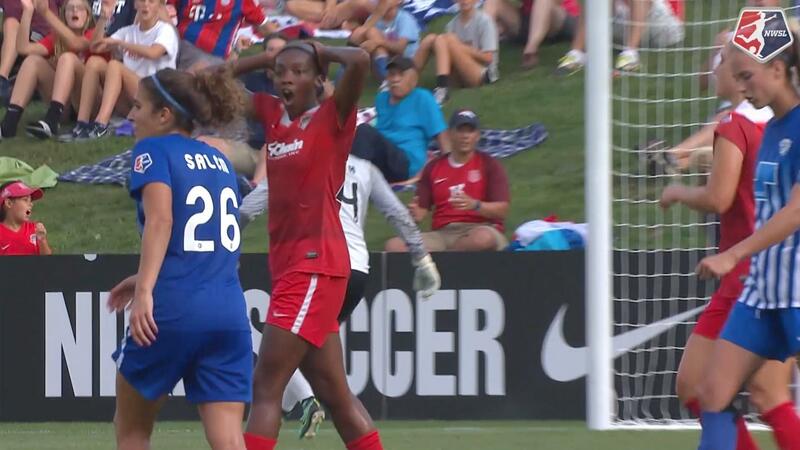 Conceded by Cari Roccaro. Attempt blocked. Maya Hayes (Sky Blue) right footed shot from the centre of the box is blocked. Assisted by Raquel Rodríguez. Substitution, Houston Dash. Caity Heap replaces Amber Brooks. Attempt saved. Chioma Ubogagu (Houston Dash) right footed shot from outside the box is saved in the centre of the goal. Assisted by Rachel Daly. Bianca Henninger (Houston Dash) wins a free kick in the defensive half. Delay in match Bianca Henninger (Houston Dash) because of an injury. Corner, Sky Blue. Conceded by Bianca Henninger. Attempt saved. Taylor Lytle (Sky Blue) right footed shot from outside the box is saved in the top centre of the goal. Attempt saved. Raquel Rodríguez (Sky Blue) right footed shot from outside the box is saved in the bottom right corner. Assisted by Sarah Killion. Substitution, Houston Dash. Chioma Ubogagu replaces Melissa Henderson. Attempt blocked. Raquel Rodríguez (Sky Blue) right footed shot from outside the box is blocked. Assisted by Natasha Kai. Attempt missed. Kealia Ohai (Houston Dash) right footed shot from the centre of the box misses to the left. Assisted by Stephanie Ochs with a cross. Corner, Sky Blue. Conceded by Stephanie Ochs. Goal! Sky Blue 1, Houston Dash 0. Taylor Lytle (Sky Blue) right footed shot from outside the box to the bottom left corner. Assisted by Sarah Killion. Attempt blocked. Leah Galton (Sky Blue) right footed shot from the left side of the box is blocked. Assisted by Natasha Kai with a headed pass. Attempt missed. Raquel Rodríguez (Sky Blue) right footed shot from outside the box is close, but misses to the left. Assisted by Erin Simon. Hand ball by Amber Brooks (Houston Dash). Second Half begins Sky Blue 0, Houston Dash 0. First Half ends, Sky Blue 0, Houston Dash 0. Attempt missed. 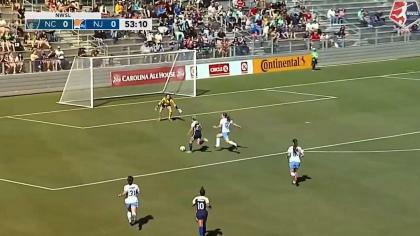 Christie Rampone (Sky Blue) right footed shot from the left side of the six yard box is close, but misses to the right. Assisted by Sarah Killion with a cross. Attempt missed. Leah Galton (Sky Blue) header from the centre of the box is close, but misses to the right. Assisted by Raquel Rodríguez with a cross. Amber Brooks (Houston Dash) hits the left post with a right footed shot from more than 35 yards. Assisted by Melissa Henderson. Attempt missed. Natasha Kai (Sky Blue) right footed shot from the centre of the box is close, but misses to the left. Assisted by Sarah Killion. Offside, Sky Blue. Natasha Kai tries a through ball, but Leah Galton is caught offside. Melissa Henderson (Houston Dash) wins a free kick in the defensive half. Attempt missed. 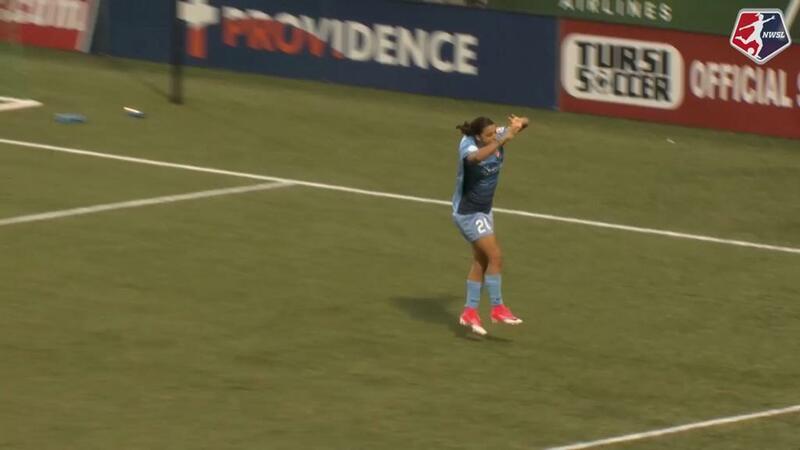 Raquel Rodríguez (Sky Blue) right footed shot from outside the box is too high from a direct free kick. Attempt missed. Natasha Kai (Sky Blue) header from very close range is close, but misses to the right. Assisted by Taylor Lytle. Attempt saved. Natasha Kai (Sky Blue) header from the centre of the box is saved in the bottom left corner. Assisted by Taylor Lytle. Attempt missed. Sarah Killion (Sky Blue) right footed shot from outside the box is too high. Assisted by Natasha Kai. Attempt missed. Kealia Ohai (Houston Dash) right footed shot from the left side of the box is high and wide to the left. Assisted by Rachel Daly.